The Corolla is the company’s bestselling nameplate for automobiles across the globe. The total number of nameplates that have been sold to date is 30 million. Toyota has been chosen by the Ethisphere Institute as one of the 2009 "World's Most Ethical Companies." Australia was the first country in the world to receive the Corollas that were exported from Japan. Toyota has filed 1000 new patents for the Prius which was manufactured by the company in 2012. That goes to show how much new technology has been used in the making of the car. In the year 2011, Toyota was ranked as the third largest car manufacturer in the world, after General Motors and Volkswagen Group. Toyota retained its status as the world's most valuable automobile brand in the Global 500 report compiled by Brand Finance plc. Toyota placed 10th on the overall list of companies from all industries. Toyota ranked 3rd in BusinessWeek /Boston Consulting Group’s list of the World’s 50 Most Innovative Companies. Toyota ranked 1st among automakers on Millward Brown Optimor’s list of the world’s most powerful and valuable brands, based on the brand’s dollar value for future expected earnings, and 14th overall. 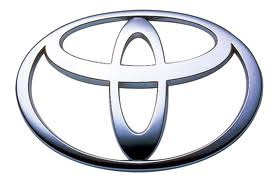 Toyota ranked 8th in the 2009 Business Week/Interbrand Best Global Brand survey, behind Coca-Cola, IBM, Microsoft, GE, Nokia, McDonald’s and Google. Toyota ranked ahead of Intel and Disney. Toyota Canada is the official national sponsor for the Special Olympics that are held in Canada. In 2012, eight Toyota-manufactured cars won the J.D Power and Associates Vehicle Dependability Study. The Toyota Prius is sold in more than 70 regions and countries cross the world. Nearly 75 percent of all Hybrids have been sold by Toyota in the U.S. The company started out as an automated looms manufacturer in 1924 and the profits that the business garnered were invested in the production of automobiles. Over eighty percent of the Toyota cars that were sold even 20 years ago are still functional and on the road.